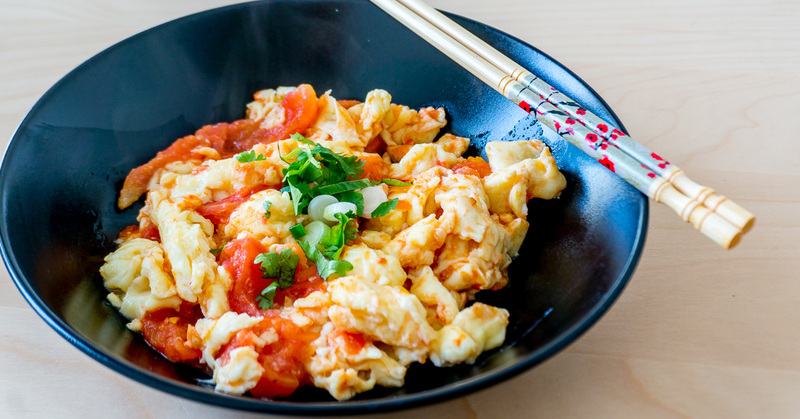 When I was younger, I’ve never really liked tomatoes so I never understood the appeal of this Chinese Eggs and Tomatoes Stir-Fry dish, even though I had a fervent love for eggs. 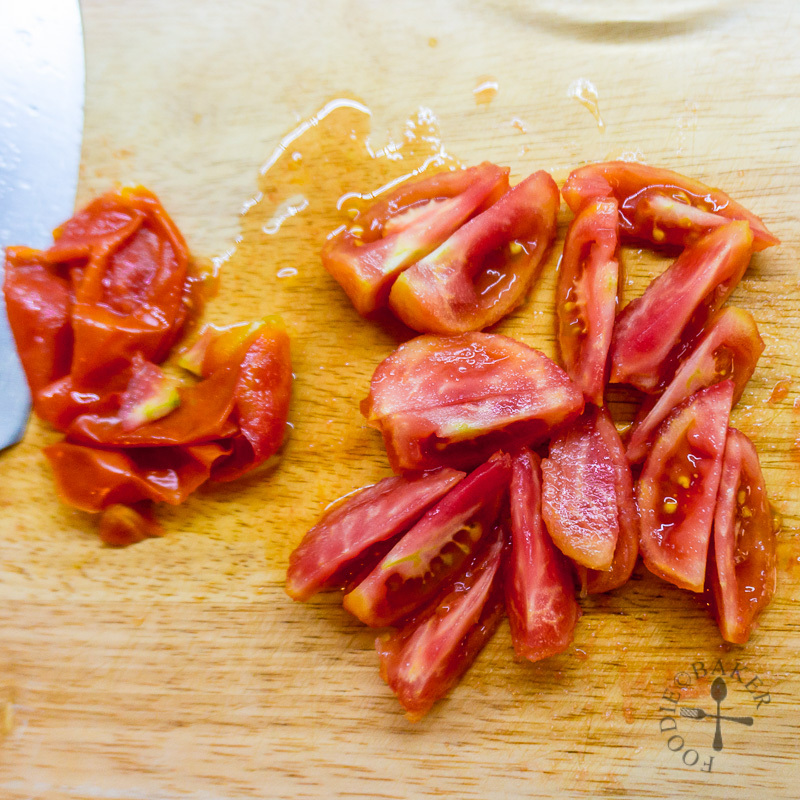 Now that I’m more in love with tomatoes, I decided to give this a try recently and I was totally blown away – this humble dish is cheap, easy to prepare and so, so delicious. My version does not have any tomato sauce or tomato paste and it’s a lot less watery, which is how I like it! 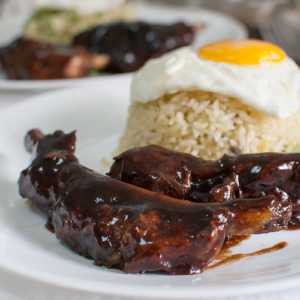 Read on for the key points in making this dish! Non-Stick Pan: I used a non-stick frying pan to make this dish, so that I don’t have to use as much oil and the eggs won’t stick. Of course the dish can still be made in a wok or skillet or other non-non-stick pan, just that you will need to use a lot more oil to prevent the eggs from sticking. This dish is just easier when made in a non-stick pan. 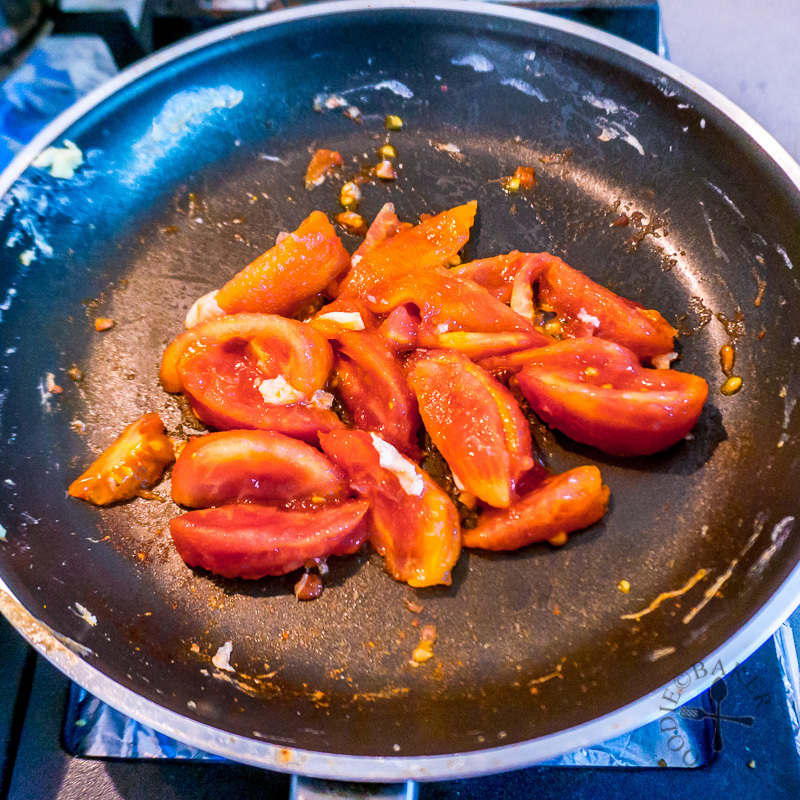 No-Skin Tomatoes: If you don’t remove the tomato skin, you will bite into some chewy bits later on which will affect the overall texture of the dish, so it’s best to remove the tomato skin first. Just cut a shallow “X” on the base of the tomatoes, blanch it for 30 seconds and the skin will come off easily. Don’t boil it for too long or you will cook the tomatoes, losing flavours in the process. 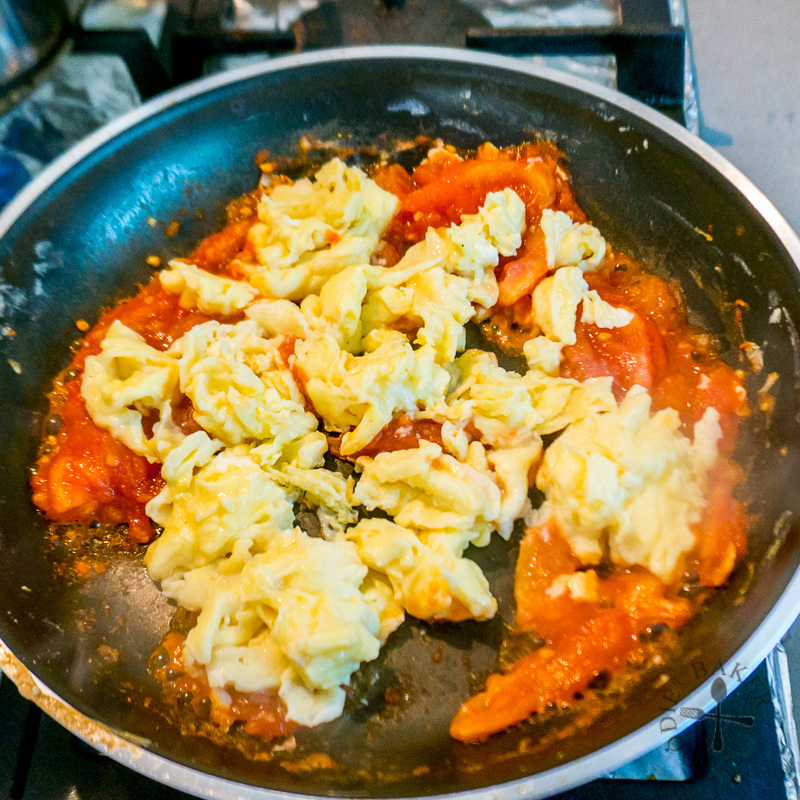 Almost-Scramble The Eggs: The eggs are cooked first into scrambled eggs, but they should still be moist – it’s perfectly okay if there are still traces of uncooked eggs as it will be cooked when tossed together with the tomatoes at the end. It is important not to overcook the eggs else they will be rubbery, and not smooth and silky. Really Soft Tomatoes: I like to cook my tomatoes until they are really soft. Squashing them will help them to soften faster. I don’t find any need to add any tomato sauce (ketchup) or tomato paste and the sauce thickens up just fine. I will only add in a bit of water if they look a bit dry and the tomatoes are still not soft enough. 1) Cut a shallow, small "X" at the base of each tomato and blanch in the hot water for 30 seconds. Remove the tomatoes when you see the tomato skin begins to peel away from the fruit. Submerge the tomatoes into ice water until cool enough to handle. 2) Peel off the tomato skin and cut each tomato into 6 or 8 wedges, depending on how big the tomato is. Discard the skin and set the tomato wedges aside. 3) Whisk eggs and season with salt (or fish sauce) and ground white pepper. 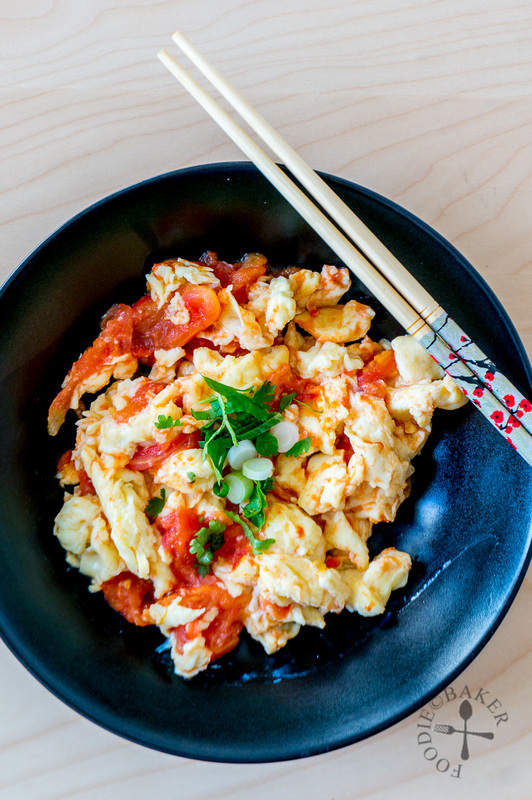 Cook the eggs into soft scrambled eggs, remove and set aside. 4) Add in the tomato wedges and cook over medium heat, stirring occasionally and squashing the tomatoes. 5) Until the tomatoes the tomatoes are really soft and the tomato juice has reduced. 6) Add in the eggs and season with sugar and additional salt to taste. Toss well to combine them altogether. Garnish with spring onion and coriander and serve! Bring a small pot of water to a boil. Prepare another bowl of ice water. 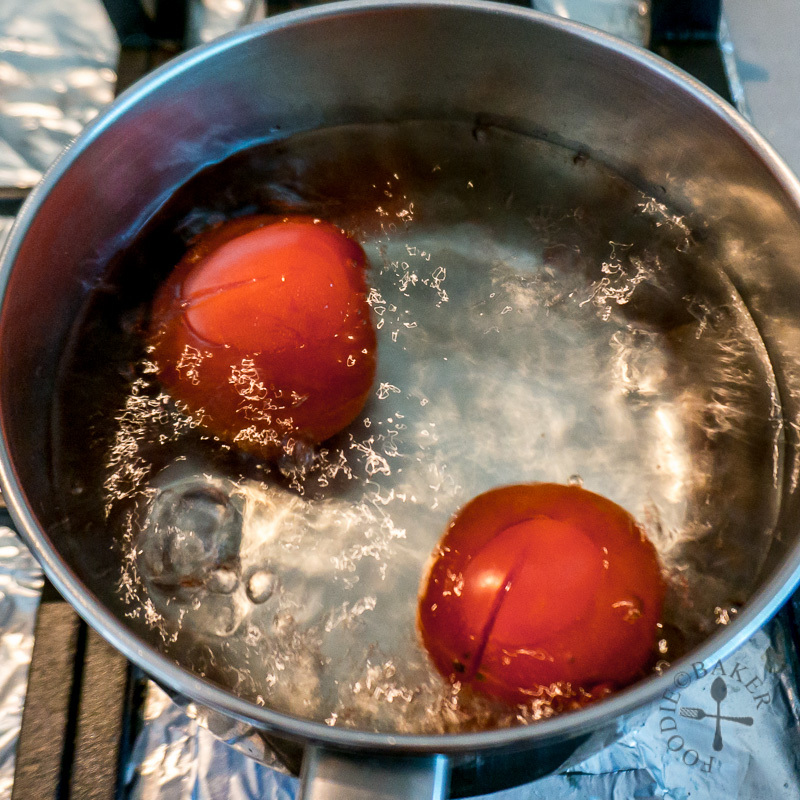 Cut a shallow, small "X" at the base of each tomato and blanch in the hot water for 30 seconds. Remove the tomatoes when you see the tomato skin begins to peel away from the fruit. Submerge the tomatoes into ice water until cool enough to handle. Peel off the tomato skin and cut each tomato into 6 or 8 wedges, depending on how big the tomato is. Discard the skin and set the tomato wedges aside. Whisk eggs and season with ½ teaspoon salt and a few dashes of ground white pepper. Add in the eggs, stirring frequently until it forms curds but still moist-looking. Transfer the eggs into a bowl and set aside. 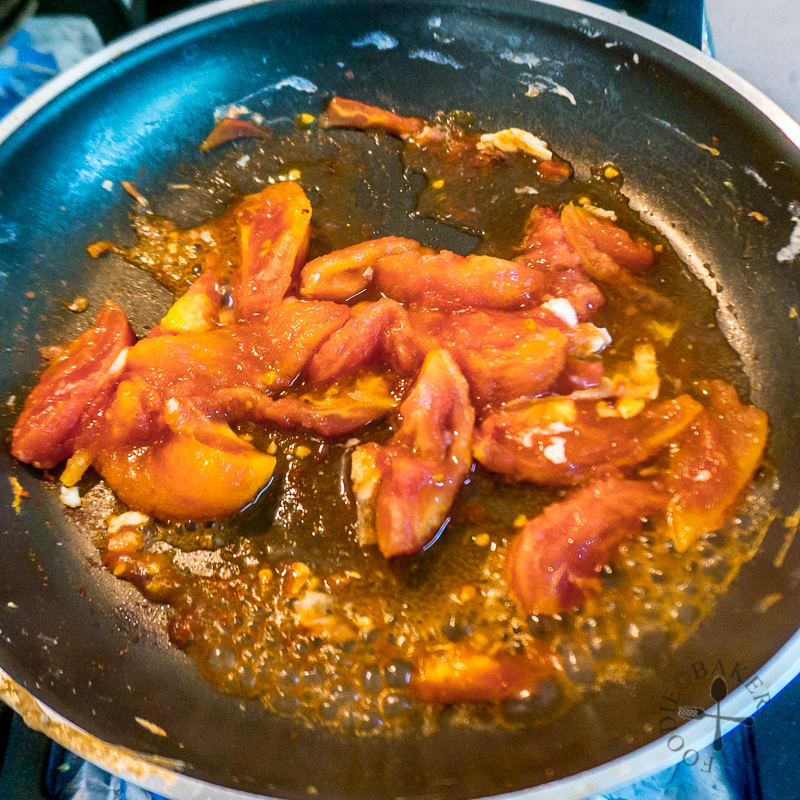 Add in 1 tablespoon of oil and add in the tomato wedges and sprinkle in a pinch of salt. Cook over medium heat, stirring occasionally and squashing the tomatoes, until the tomatoes the tomatoes are really soft and the tomato juice has reduced. If it's too dry, you can add in a splash of water but not too much if you don't want the dish to be watery. Add in the eggs and season with sugar and additional salt to taste. Toss well to combine them altogether. 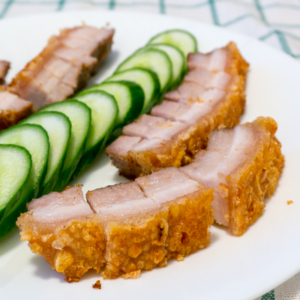 Transfer to a serving plate, garnish with spring onion and coriander and serve with rice and other dishes. 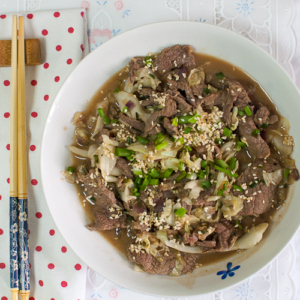 - In Chinese cuisine, we usually serve a few dishes to go with rice, like a soup, a meat dish and a vegetable dish. Hence the serving size varies depending on how many dishes we prepare. For X and I, I will prepare one more meat dish to go with this vegetable dish and it will be enough for 2 of us. If you are serving this for 4, you should add in two or three more dishes to complete the meal. If not, you will need to double the quantities so that there will be enough to go around. Hi Monica! Yea I’m not a fan of tomatoes too! Hope you can recreate your mom’s version one day, mom’s versions are always the best! I’ve never thought of having it for breakfast, great idea! 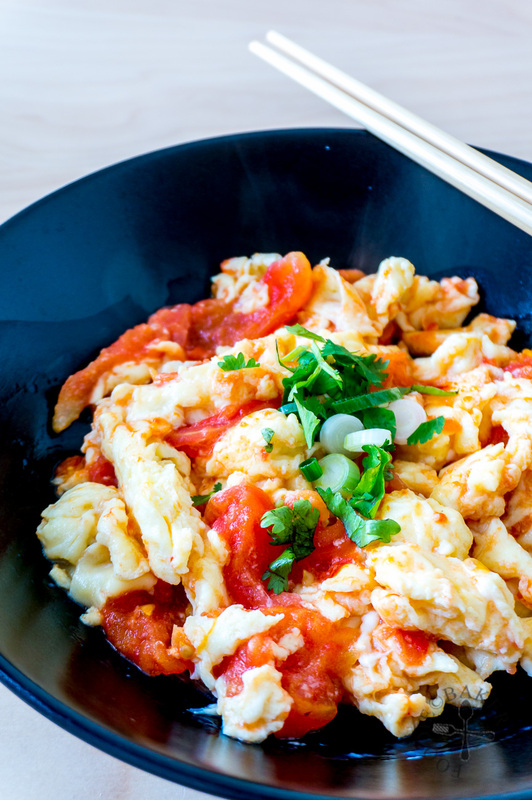 I do remember this dish…one of easiest and tasty dish with eggs…thanks for reminding me of it…yours look super delicious Jasline! Hi Juliana! Yes it’s so simple I wonder why I didn’t fall for it earlier! Have a lovely weekend! What a wonderful Brunch this dish would make, light and tasty. A perfect combination. Hi Emma! 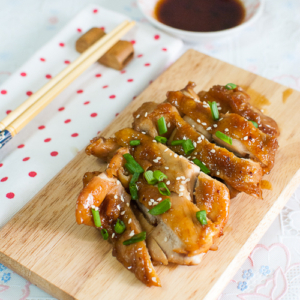 Love that you suggest this for brunch, it will be so good with a bowl of rice porridge!